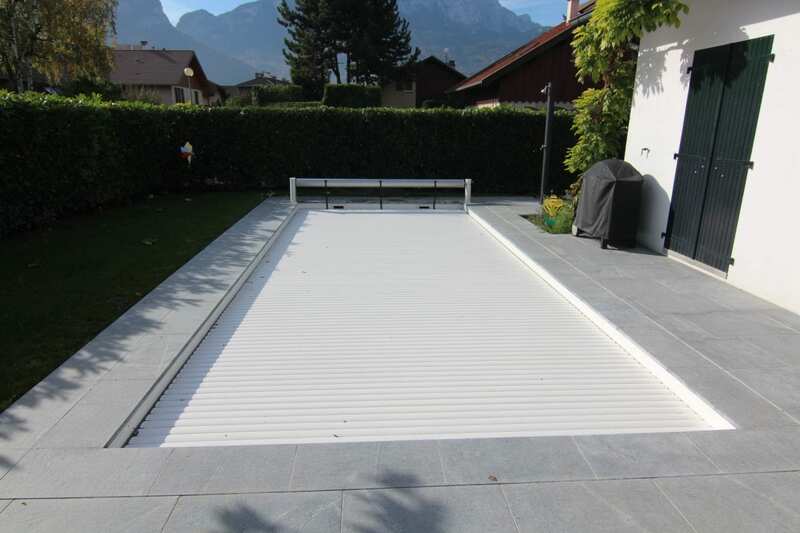 Slatted Cover systems are installed internally reducing the swimming area by 750mm. All covers are supplied with in-tube motor, SS beam and control unit. Auto top up and vacuum point required. Slats are available in white or grey PVC as standard or can be upgraded to Polycarbonate Solar. Talk to your dealer to discuss the merits of each one. Warranty: 2 years Control Panel & Electric Motor, 3 years PVC/Polycarbonate Slats. Conditions apply. 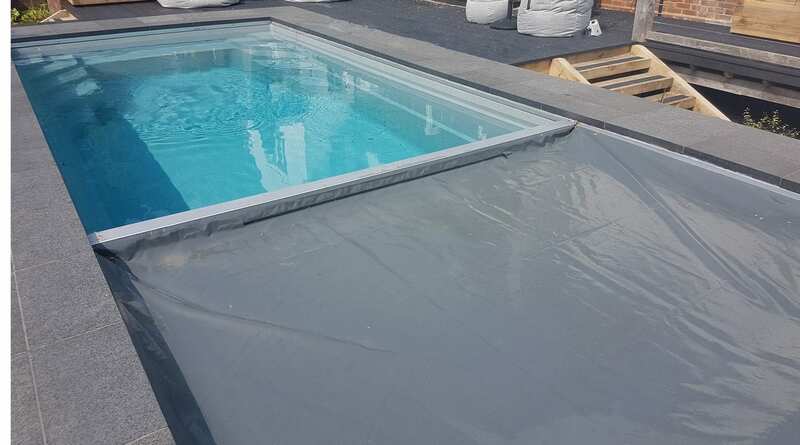 A PVC fabric type cover ensuring safety all year round. Hydraulically operated, this cover system meets the American ASTM safety standards. 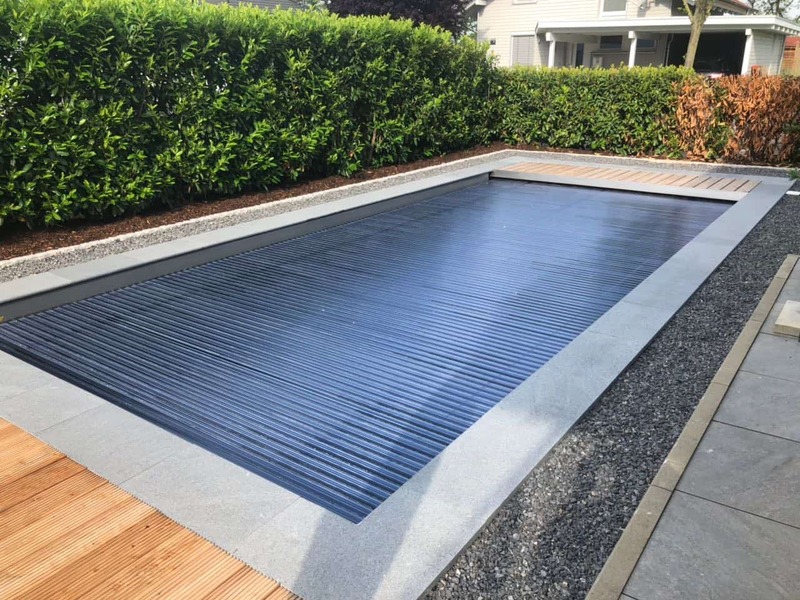 With an extensive 20-year drive warranty and a 7-year pro-rated fabric warranty, the Aquamatic is the ideal cover for making your pool safe. For more information on the Aquamatic cover click here.